If you don’t have a pool, you’ll no doubt want one at some point. 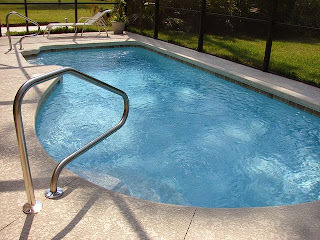 While swimming pool construction is a relatively expensive project, they are a great way to spend time with the family and get in some exercise if need be. But first of all, let’s take a look at the 12 steps that need to occur before you can go from suffering in the heat to cooling off by your slice of paradise. Okay so you’ve found a pool construction company to build your pool, but before construction can begin, you need to pick a design. There are several elements that need to be considered here such as shape, length, and depth. Remember, the more complex that it is the higher the cost will be. This part of the process is crucial. You will have to apply for a permit with your local city and possibly your local home owner’s association. If you don’t you could find yourself in trouble with your city and the tax department for failing to register your pool. Construction can begin! It is important that a permit is in place at this stage, as you don’t want to run into any utility lines that you didn’t know about. A backhoe is used to do this. It’s at this stage of the swimming pool construction process that the ground will need to be evened out as much as possible which will form the bottom of your pool.